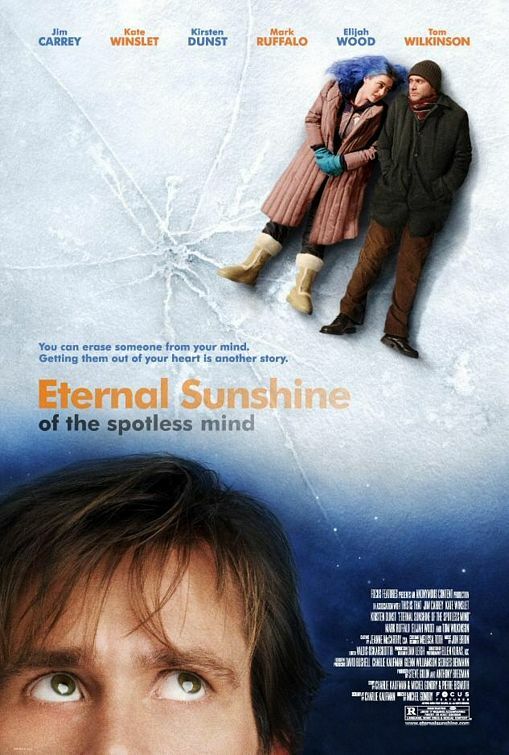 I've seen Eternal Sunshine of the Spotless Mind multiple times before. This is Michel Gondry's second feature film, and second time working with screenwriter Charlie Kaufman (Human Nature (2001), both of whom won the Oscar for best original screenplay for this film. Kate Winslet received a best actress nomination, losing out to Hilary Swank in Million Dollar Baby. The film begins with Joel Barish (Jim Carey) ditching work to go to the beach in Montauk in the middle of winter. He's a tightly wound guy, not particularly communicative, and essentially the opposite of the talkative and artsy Clementine (Kate Winslet). As I've mentioned before, I'm not a huge Jim Carey fan. He's fantastic at a style of humor that I don't particularly care for, which is really just a matter of taste, and probably why this is one of my top three Carey movies (along with The Truman Show and Man on the Moon). Eternal Sunshine takes a drama about the collapse of a relationship, and uses creative narrative techniques to turn it into an emotionally powerful tale about loss and the unavoidability and necessity of pain in any personal growth. It's a beautiful film. David Cross plays Rob, a friend of Joel Barish. His longest scene is by the beginning of the film, after Joel and Clementine's breakup. We only get brief glimpses into his life and his presumably troubled relationship with his girlfriend (or wife? fiancee? It's never made clear). The character is a bit acerbic, but otherwise there's nothing that sticks out about him.